The Clemson Tiger Band is soaking in every moment that they can form their National Championship season last year. And since they are considered still the defending National Champs until the end of the season, they might as well continue to enjoy it! For their first halftime show the band celebrated their team by taking fans back through their magical run to the championship. To say fans enjoyed it is probably an understatement. The band coordinated the show to highlights from the season on the main board. In this recording you'll get to see what they showed on the main board and what they did on the field. 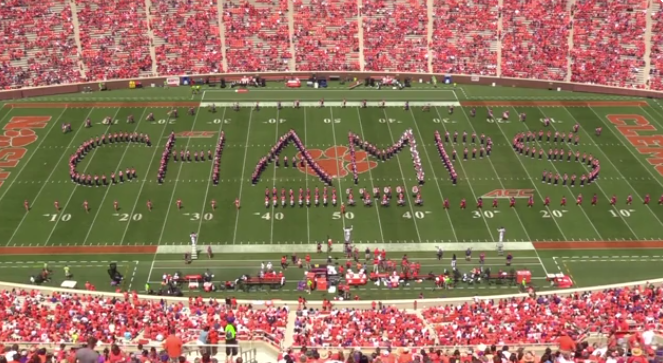 We really need to go to Clemson to see this band in action!